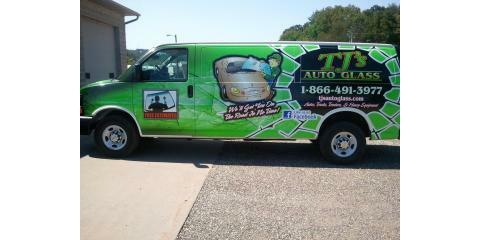 Auto glass repair requires expert knowledge, top-of-the-line tools, and a commitment to quality. At TJ's Auto Glass in La Crescent, MN, that’s exactly what you’ll find. Led by Terry Johnson, who has over 30 years of experience in the industry, the team is on-hand to deliver reliable service, whether you need windshield crack repair, car window replacement, or any other type of auto glass repair service you can think of. It’s not safe to drive a vehicle with damaged glass. Even a seemingly minor crack can substantially compromise the structural integrity of your glass, making it far more likely to shatter on impact. That’s why it’s important to schedule auto glass repair service with an experienced professional the moment you notice any signs of damage. Handling windshield repairs, windshield replacement, RV glass repairs, and even window motor repairs, the experts at TJ's Auto Glass offer a wide range of services, ensuring you always have someone you can turn to when your car glass needs to be fixed. As an Auto Glass Safety Council certified auto glass shop, they work hard to get jobs done efficiently, but they never sacrifice quality. They understand that keeping your auto glass in good shape is essential to your safety out there on the road. It’s a driving principle behind what they do. If you ever find yourself in need of auto glass repair in the La Crescent, MN, area, make your way to family-owned and -operated TJ's Auto Glass, where experience and a commitment to customer satisfaction meet. Contact them online for more info, or call (888) 615-1920.